Aerosmith was one of the indisputable gods of American hard rock in the ‘70s. They also came back from the brink of drugs and despair to have a total renaissance in the late ‘80s. Add these eras together, and you’re looking at a band that made a ton of cash through album sales. At least, on paper. Yet a funny thing happened on the way to this assumption. 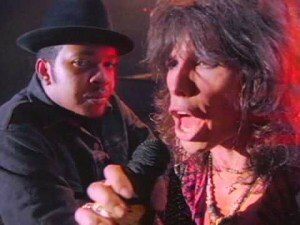 The scratch Steven Tyler, Joe Perry, and the rest of the band hauled in through the release of albums like Toys in the Attic, Rocks, and Permanent Vacation was less than what they brought in through the video game Guitar Hero: Aerosmith. This assertion comes straight from the head of Activision, the video game company that released the popular video game. And while this may come as a shock to you at first glance, there are several reasons why this claim shouldn’t necessarily surprise you. That’s not to say they haven’t exactly had mild sales. Toys boasts certified U.S. sales of eight million copies. The song Sweet Emotion has recorded three million digital downloads alone. And the band double-dipped with the success of the hit Walk This Way; both originally and as their famed, career-revitalizing collaboration with the rap group Run DMC. In short, they weren’t exactly paupers before the game came out. While the band has famously endured stretches of bitter infighting and devastating drug and alcohol issues that hurt their revenues, they still made a decent buck or two off their success. Plus, they were famous enough to warrant their own version of Guitar Hero. 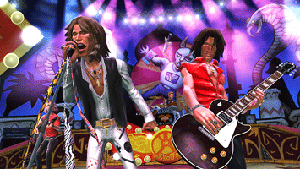 It’s not hyperbole to say Guitar Hero is one of the most impactful home video games ever produced. The premise of the game is simple. 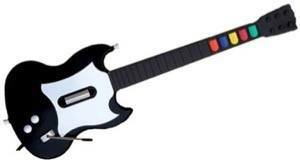 Just grab a fake MIDI guitar (your “joystick” for the game), plug it into your gaming console, and “strum” its lever while you hit buttons on its fretboard at the same time the scrolling fret on the TV screen instructs you to. How a million kids learned "how to play guitar"
The game is unmistakably a video game. It won’t turn you into the next Hendrix, and many an accomplished musician will admit to being lousy at it when they’ve tried it out. Yet it does provide gamers with the thrill of pretending to be on stage, in front of an ocean-like throng of admirers, wailing on a killer guitar solo. And if you’re an Aerosmith fan, why wouldn’t you want to make believe you’re Joe Perry for a spell? As it turns out, a lot of Aerosmith fans did. 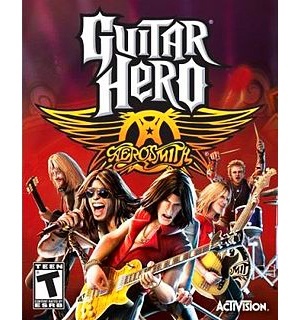 When Guitar Hero: Aerosmith hit the shelves in 2008, it sold a whopping 600,000 copies. When you factor these units sold at roughly $40 a pop, this means the game extracted roughly $25 million from gamers’ wallets. Compare this number to the fact that 257 million albums sold in 2014. 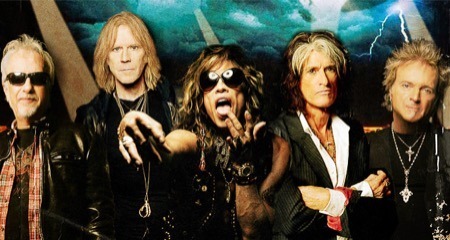 This is not just Aerosmith – we’re talking albums by every artist that released an album over a career. Aerosmith is but a small slice of this pie. Suddenly, the fact that a video game could be substantially more profitable than record sales doesn’t seem so far-fetched. If you look at the recording industry, even during its heyday, album sales weren’t the prime mover in their overall economic scheme. There were tons of more profitable ways for an artist to generate money, up to and including concerts, merchandise, T-shirt sales, music licensing, and the like. It's the reason why we tend to speculate that an artist needs money if they decide to go out on tour without the support of a new album. Some bands practically define some of their legacy by this fact. The legendary punk band The Ramones were arguably the most notorious of the bunch in this regard. To wit: The influential group’s greatest hits album sold fewer than 40,000 units. Yet according to Spin magazine, the band has sold some 1.5 million T-shirts since they broke up (and unfortunately passed away). Nobody should deny their influence on rock music – just don’t call them chart-toppers. And in this digital age, Aerosmith is far from the lone act to make bank on technology-based endeavors. For instance, hip-hop mogul Dr. Dre became recognized as a billionaire not by selling millions of copies of The Chronic. He became one by selling his Beats headphone and music streaming service to Apple, to the tune of some $3 billion. And of course, bands get revenue generated from actual music-based sources, such as continued royalties and streaming from sources like iTunes and Spotify. However, considering the money that Aerosmith picked up from their Guitar Hero gig, this revenue stream can be somewhat easy to forget about. It just so happens that the most lucrative sales out there don’t necessarily come from the creation of new music. It’s just the nature of the beast; for Aerosmith, they found one of the more lucrative endeavors out there, not to mention one of the more entertaining ones. Guitar Hero can indeed be a rousing form on fun in a certain context. If you fit into this category, look on the bright side. 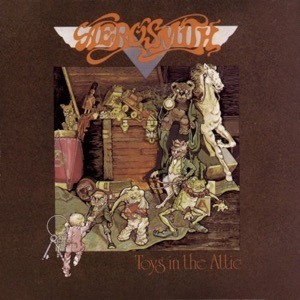 At least, those that pick up and play Guitar Hero: Aerosmith may be inspired to pick up and spin Toys in the Attic one day.